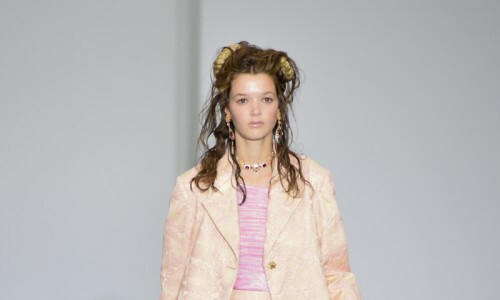 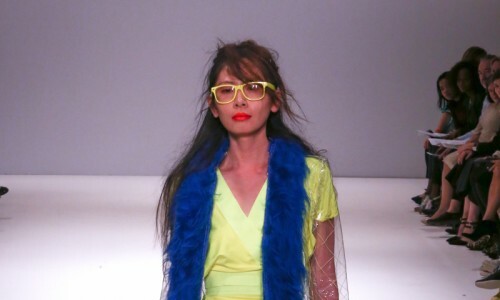 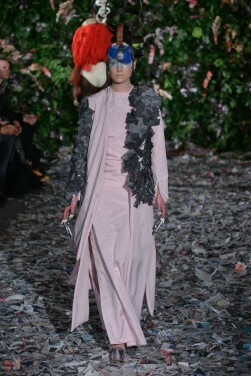 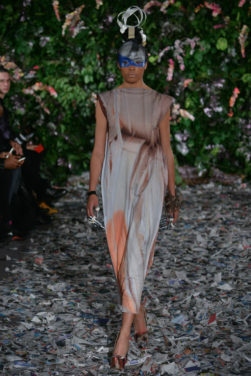 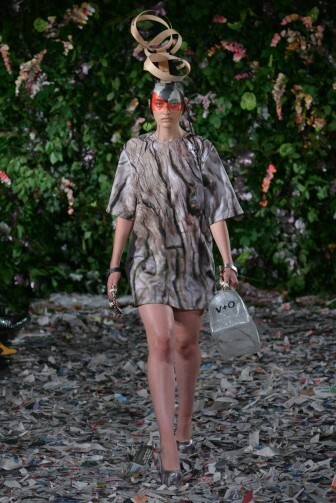 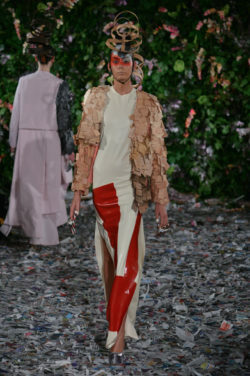 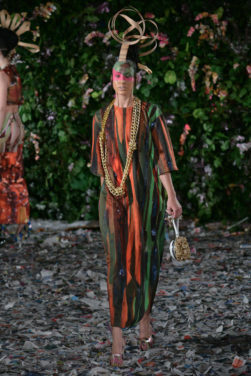 The designers described their latest collection, Futurewood, as future eco-punk, which actually sums it up quite nicely. 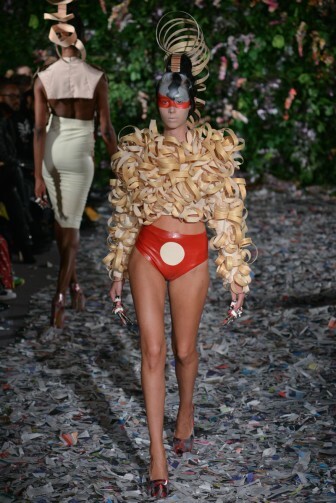 The pair blur the lines between art and fashion design more obviously than most, something that was obvious in the quirky, abstract designs that they sent out today. 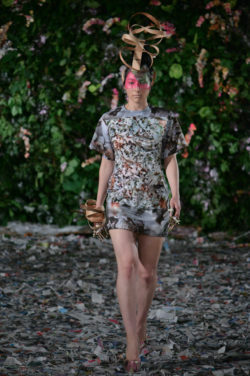 Across a catwalk covered in shredded paper, stretching out in front of a wall of foliage, the models tottered in impossibly high platform heels. 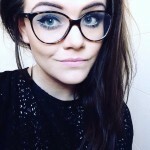 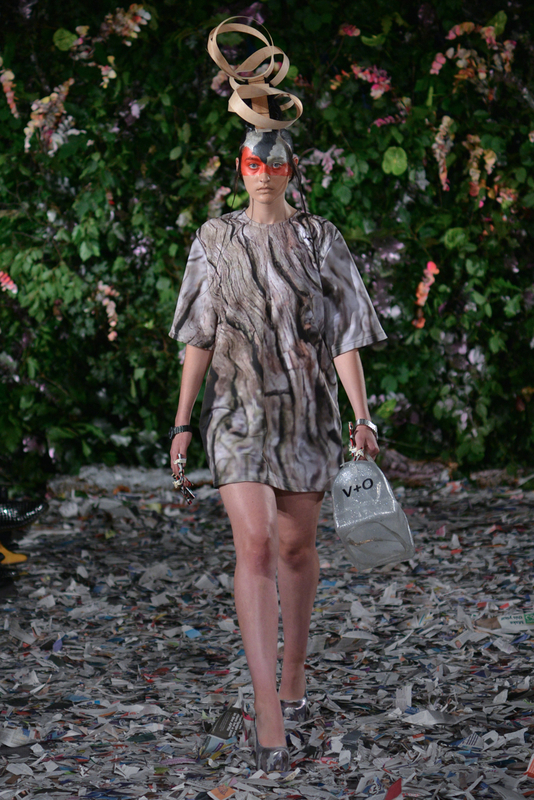 The designs themselves were inspired by the forest, but the forest as viewed through Pinterest boards and Instagram filters – nature for the iPhone generation. 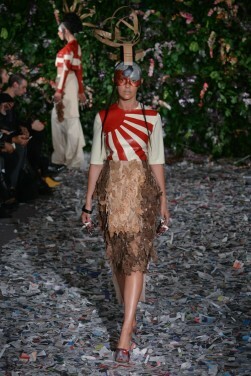 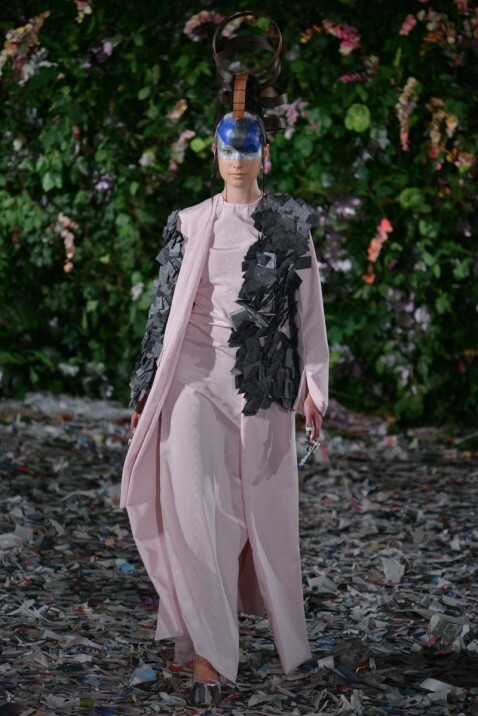 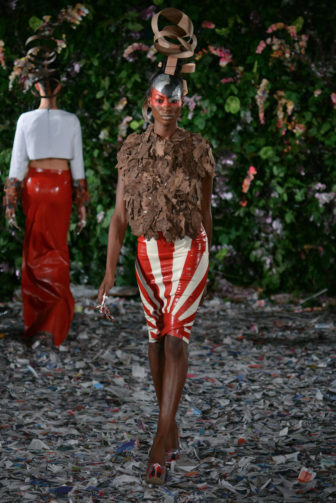 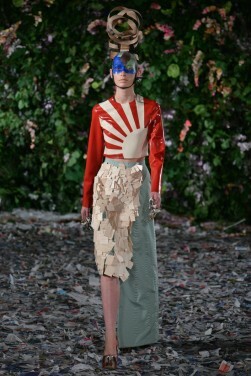 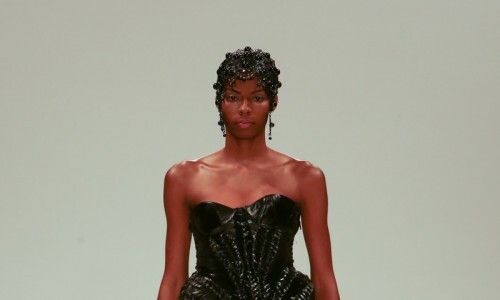 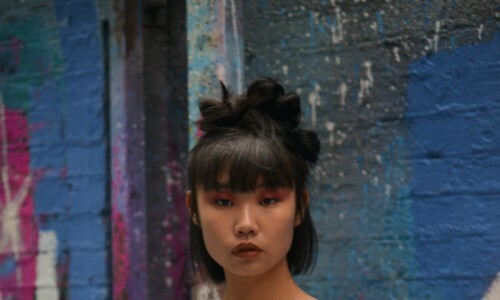 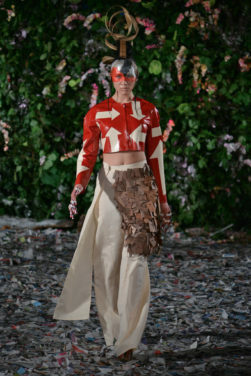 As such, the entire collection was infused with Vin + Omi’s characteristic wit and edginess. 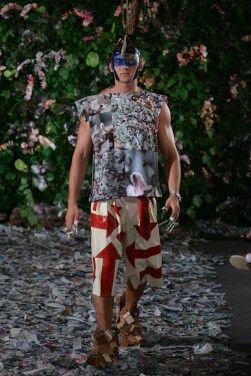 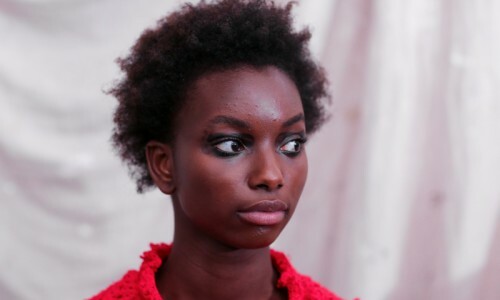 The inspiration may have been pastoral, but there was nothing nostalgic about this collection. Vin+ Omi are known for their penchant for latex, and it was a big part of their offering for SS16 – however, like every other material used in this show, this latex was created solely from materials derived from trees. 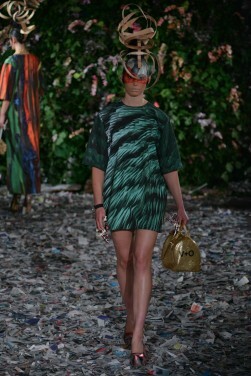 In fact, this whole collection was essentially a love note to trees – ‘trees are good! 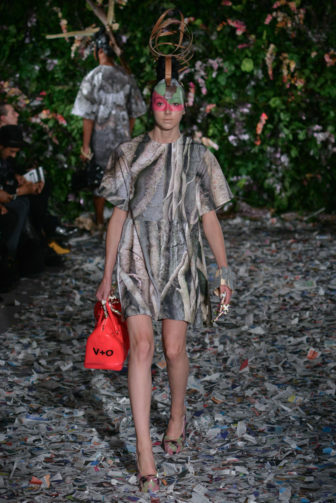 Trees are beautiful!’ stated the shownotes, after encouraging you to ‘go hug some trunks.’ The designers took photographs of tree trunks, often including lovers’ carvings, and replicated the texture of the bark in their prints. 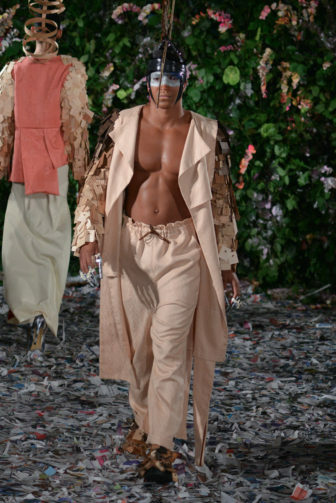 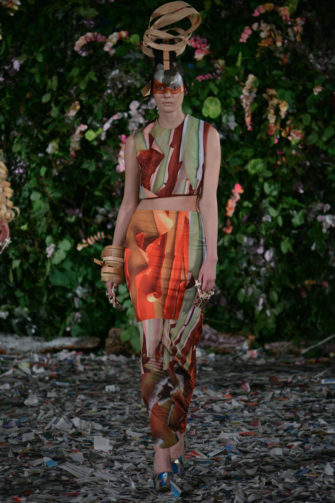 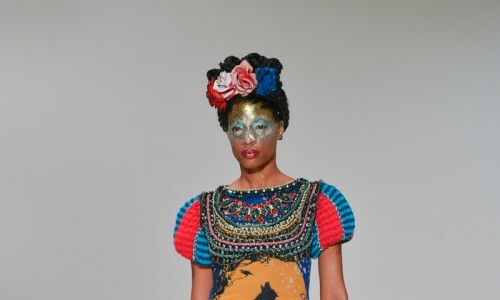 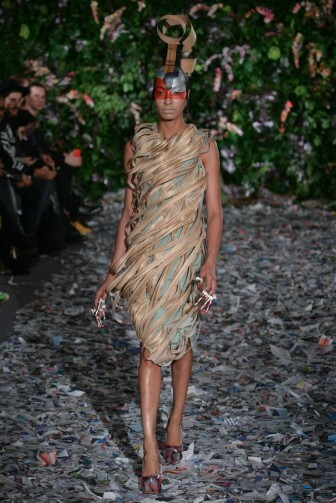 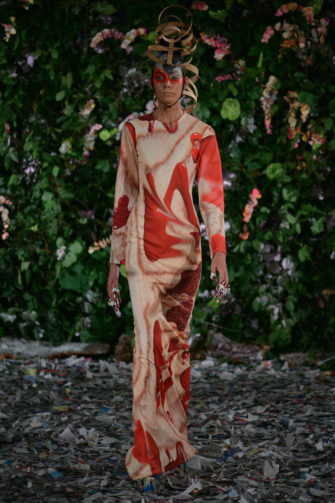 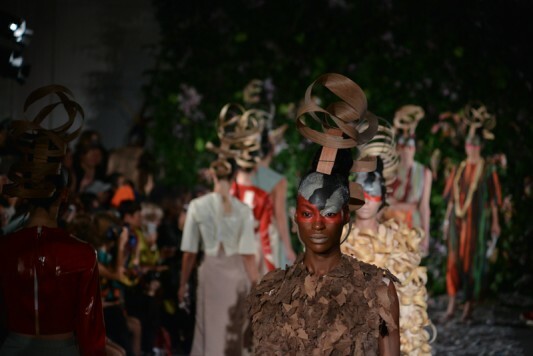 The collection also incorporated 15 types of sustainable wood veneers as appliques, and also the sculptural wooden hairpieces that sprung from the heads of the models; the handiwork of elusive artist Maude Trout. 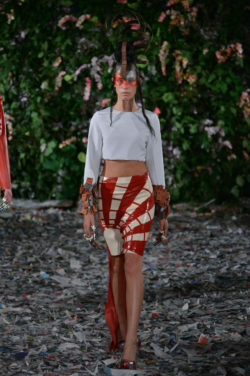 Hints of a Japanese influence also found their way into the latex dresses and beachwear-like pieces, with a red and white motif evoking the Japanese flag. 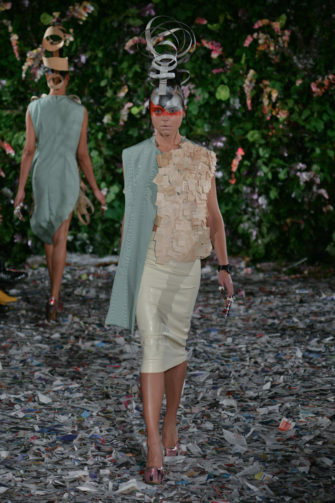 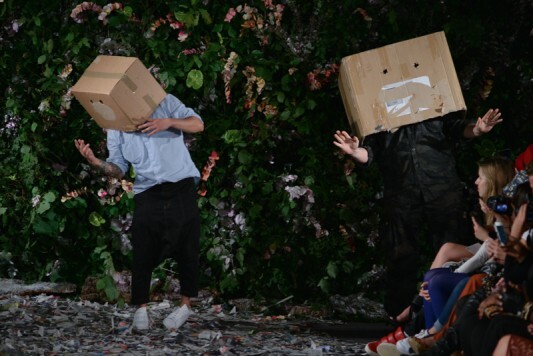 The designers took their bow at the end wearing giant cardboard boxes on their heads. 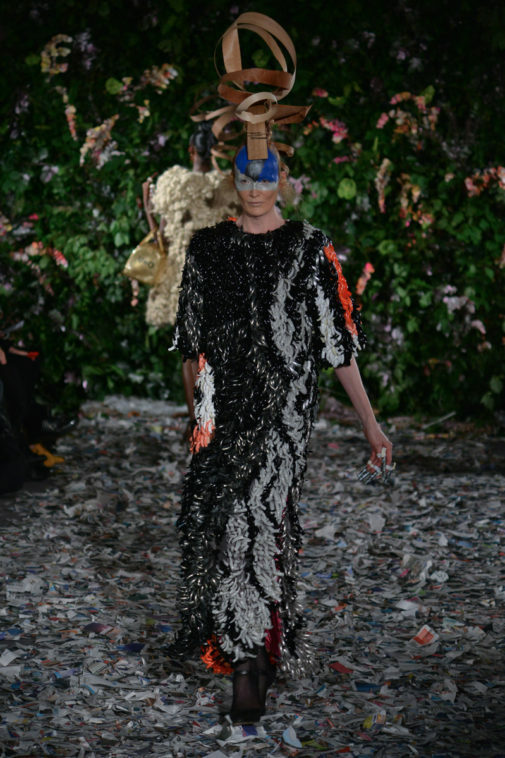 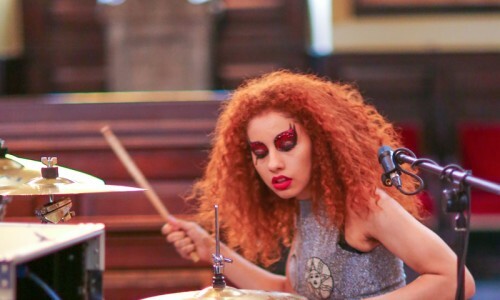 The whole experience, from start to finish, was a surreal, creative explosion – and it was impossibly fun.